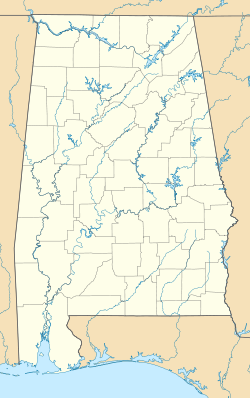 Tanner is an unincorporated community in central southern Limestone County, Alabama, United States, and is included in the Huntsville-Decatur Combined Statistical Area. It lies nine miles north of the city of Decatur and the Tennessee River, and four miles south of the city of Athens. Tanner is home to Tanner High School (The Rattlers), a 2A school in the state's classification system. The school's basketball boys and girls teams both won state titles in 1986 and 2011 and is the only school in Alabama to do so. On April 3, 1974, the area was struck by the 1974 Super Outbreak; two violent stovepipe tornadoes that were both one-third of a mile in width hit the community within 30 minutes during the early nighttime hours. Both tornadoes were rated F5 on the Fujita Scale. After the first tornado passed through the area, a second tornado surprised the rescue effort. In total, 50 were killed by those tornadoes. On April 27, 2011, during what some meteorologists call the 2011 Super Outbreak, Tanner and other surrounding communities were hit by a large EF5 tornado. The wedge tornado, which was over 1 mile (1.6 km) wide, killed 11 people in Limestone county and 72 people overall, marking it as the deadliest tornado in Alabama history. It was third F5 or EF5 tornado to strike Tanner and the surrounding communities in Limestone County. ^ "Tanner". Geographic Names Information System. United States Geological Survey. ^ Foscue, Virginia. Place Names in Alabama. University: University of Alabama Press, 1989. ^ "National Weather Service Huntsville Alabama -- Franklin AL, Lawrence AL, Limestone AL, Madison AL, Frankin TN Tornado Survey Information". NOAA's National Weather Service. 2011-05-02. Retrieved 2011-05-02.